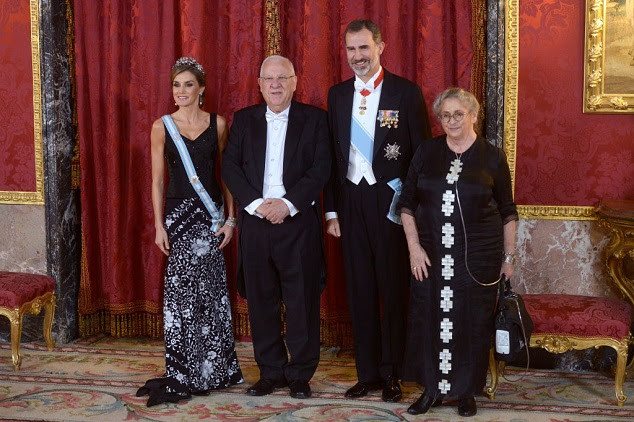 President Reuven Rivlin and first lady Nechama Rivlin were guests of honour at a state diner at the royal palace in Madrid. 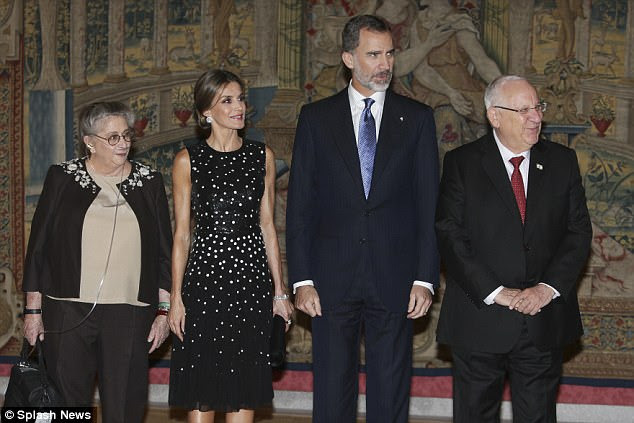 Hosted by the royal family of Spain- King Felipe and Queen Letizia. Nechama Rivlin chose for the occasion our embroidered dress from the 2016-2017 runway in Tel-Aviv Fashion Week. Nechama Rivlin with our Iconic piece. the Desert Coat. Queen Letizia and Nechama Rivlin arm in arm.